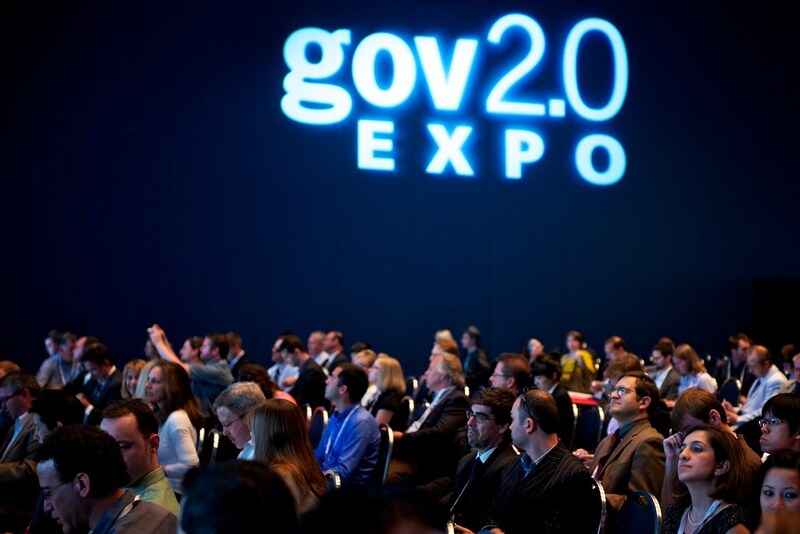 At the Gov 2.0 Expo – Who’s Making You Successful? Last week, I participated in Tim O’Reilly’s Gov 2.0 Expo held here in Washington, DC and I was honored to be a member of the Program Committee for this event as well as last year’s Expo Showcase and Summit. With each and every one of these events, I always looking forward to meeting and learning from the Gov 2.0 rockstars – Linda Cureton, Chris Rasmussen, Steve Ressler, Clay Johnson, Macon Phillips, Mary Davie, and so many others – people who have helped pave the way for conferences like this. Take a look at this speaker list and take a guess at where this movement would be without them. I think I get smarter just through osmosis when I’m talking with these folks! Kudos to Tim, Laurel, Mark, Suzanne, Jessica, Alex, and the rest of the O’Reilly team for pulling together another great event. As I did last year following the Summit, instead of doing a summary post of all that was Gov 2.0 Expo 2010 (I couldn’t possibly do any better than Alex’s fantastic wrap-up post here anyway), I’ll take a more focused view and discuss one issue that really struck me. Last year, I said I wanted to hear more about the processes behind the success stories. To learn more about the failures in Gov 2.0. I think we started to accomplish that this year – the many panel presentations and workshops seemed more conversational and attendees seemed more willing to ask questions. I heard a lot more discussion about how the speakers handled difficult situations, how they worked with legal, and how they got senior leadership buy-in. While there’s still a need to hear more about the failures of Gov 2.0, I think those discussions are probably more likely to occur in the hallways than on the stage. What really got my attention as I sat listening to visionary leaders like Todd Park, Linda Cureton, and Jeffrey Sorenson was this post by Robert Shedd – just who makes these people successful? That’s the question that I started to get more and more curious about as the Expo continued. Who are the people behind these leaders? Who are the people back at the office making sure the social networks are growing? Who are the people responsible for implementing these grand programs? Who are the people telling these leaders they’re wrong? Who are the people coming up with all of these ideas? That’s why I loved when Alex Ross told the story of Katie Dowd, Katie Stanton, and Caitlin Klevorick at the State Department (fast forward to the 2:00 minute mark of this clip) who came up with the idea for the Haiti Red Cross text messaging campaign. While Alec was the one speaking and getting the credit, he realized that it wasn’t about him or his ideas – it was about the people actually making these things happen. For me, any and all success that I or my firm has had can be traced back to the work of my team. Sure, I may be the one on the stage, but I’m generally not the one on the ground day after day working with the client. I’m writing blogs – they’re trying to explain Twitter to a three-star general. I’m speaking at events – they’re trying to do more work while still staying under budget. That’s why I want to take this opportunity to say thank you to some of the other Booz Allen folks you may have met at the Expo, but whom you might not know well…yet. Thank you Jacque Brown for never being afraid to tell me when I’m wrong or when I’m being a real dumbass. Please take this opportunity to go back to your blog and write a post on who makes you successful. Highlight the work of someone who works with you, someone who has helped get you to where you are today. Give them the attention and recognition that they deserve and leave a comment here with a link to your post. Who has helped you turn an idea into a successful program? Quick – who recently said this in reference to his organization’s social media efforts? What social media or Government 2.0 champion could have said this? Could it have been Federal CIO Vivek Kundra? Maybe Director, New Media and Citizen Engagement at GSA, Bev Godwin? Principal Deputy Assistant Secretary of Defense for Public Affairs Price Floyd? Nope. Try Ted Leonsis, owner of the Washington Capitals. In this week’s Washington Post, Leonsis discusses why the team is aggressively using social media to engage with their fans and the potential impact that social media can have on his team and on the sport. Sound familiar? Sound anything like what us in the Gov 2.0 and social media communities have been telling our bosses and clients for years now? Hmmmm…sounds like his perspective, experience, and business acumen would be a valuable addition to the Gov 2.0 conversation, don’t you think? This methodology, this thinking, that someone who has absolutely no experience with or knowledge of your organization might be able to solve a problem that your top domain experts haven’t been able to crack is a totally foreign concept to most organizations, especially those within the government. What if instead of talking with the Gov 2.0 “experts,” we started getting more people from outside of Government involved in Gov 2.0? Think about the value that Craig Newmark has brought to the Gov 2.0 discussion. Or Tim O’Reilly. The social media community seems to have realized the value these outsider perspectives can bring – just last year I attended conferences featuring Jermaine Dupri, Brooke Burke, and Jalen Rose. This year, Gov 2.0 events like Gov 2.0 LA reached out to Hollywood to get that perspective and author/entrepreneur/professional keynoter Gary Vaynerchuk will be speaking at this year’s Gov 2.0 Expo. Getting these influencers involved as speakers is a great start, but we need to achieve more consistent engagement beyond just singular events. What if the next Director of New Media and Web Communications for DHS was someone like Mike DiLorenzo, Director of Corporate Communications for the NHL? What if we talked with some behavior modification psychologists about the best way to change people’s behavior from one of “need to know” to “need to share?” What if we studied Native American tribes to learn more about how they build and maintain a unique culture even in the face of extreme changes? While government may be unique, the problems we’re facing aren’t. The challenge shouldn’t be in solving them, but rather, in finding out who or what has solved them already. At least that’s what Chris Brogan said this week at the Society for New Communications Research NewComm Forum. I have to admit that I was a little scared about what he was to going to suggest next. I had flown out to San Francisco to give a presentation on Government 2.0 at the same conference that Chris was presenting at, and he was one of the reasons that I was really excited about attending. I’ve been to conferences where he’s spoken before and really like his informal, tell-it-how-it-is style. So, when Chris began his presentation, I knew that I wanted to get his take on this whole Government 2.0 meme. Here in the DC area, we’ve got a lot of “goverati,” carpetbaggers, yellow journalists as well as plenty of behind-the-scenes people who are actually making Government 2.0 happen. It’s sometimes hard to get out of the echo chamber. The reason I like conferences like the NewComm Forum is precisely because I’m usually one of the few Government 2.0 folks there. I get an opportunity to meet and interact with some of the top minds in the broader social media world and get their perspectives on what’s working and what’s not in Government 2.0. What I find refreshing about Chris’ thoughts on Government 2.0 is that he concentrates not on the tools themselves, but on being helpful, on customer service. He advocates for asynchronous communications and for engaging with the community when and where they are, rather than trying to get more comments or web traffic. He realizes that Government 2.0 isn’t about the tools. It isn’t about the Whitehouse getting on Twitter, it isn’t about the GSA making friends with YouTube, and it isn’t about barcamps. These things are fantastic, all they are a means to the end. What really matters is that people can now ask a question of the EPA at 11:00 at night and get a response back within an hour. Or that people can now talk directly to their Congressman. Or that local bloggers in other nations can now provide their readership with accurate information because they’re embedded directly with the Department of State’s traveling press corps. So yeah, I agree with Chris that the government should always keep the end goal of being helpful to the public in mind. If that means getting every Government agency department and agency tweeting, that’s ok by me, as long as they’re doing it to be helpful and not to check a box, or to market themselves, or to help someone leave behind some sort of legacy. Use social media but remember why you’re using it.